President Muhammadu Buhari’s close ally and the Nigeria Honourable Minister of Youth and Sports Development, Barrister. Solomon has spoken on the sarcastic response of the President to his wife, Mrs. Aisha Buhari alleging that she would not vote for her husband’s re-election in 2019, if things remain they are as at present, insinuating that the President reshuffle his cabinet. 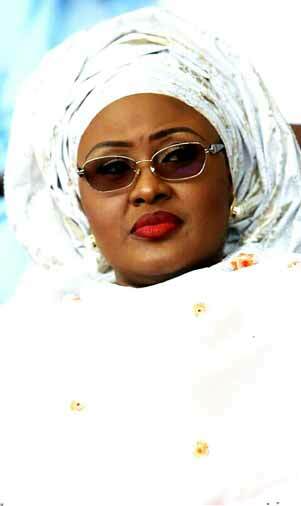 Aisha Buhari was quoted to have said during her interview on BBC Hausa, that 45 – 50 of the persons working in her husband’s cabinet in top Ministerial positions are unknown to her husband and even herself, despite being his wife for 27 years. The first lady, in other words attribute the low performance of President Muhammadu Buhari’s administration to the appointed top government officials as Ministers and Heads of agency. Has she say they do not share in her husband’s idea and believe in governance and neither are they working in the interest of the ruling party. President Muhammadu Buhari who is on a visit to Germany, has responded to journalists during an interview that ‘he do not know, which party his wife belongs to, but all he know is she belongs to his kitchen, living room and the other room(bedroom). After the scenario earlier in the day, the Minister of Sports, Barrister. Solomon Dalung on Friday night, informed that ‘those who know him(Muhammadu Buhari), will definitely understand his sense of humour and his many jokes to weather storms and ease any kind of tension, if there is one. 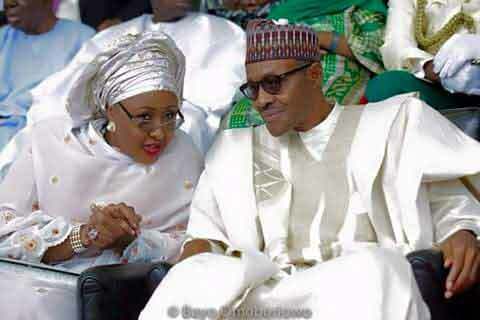 He further said, he (Buhari) is simply a leader full of humility and empathy for humanity.